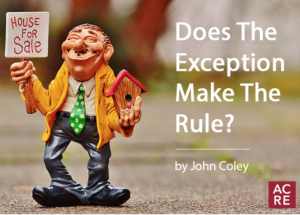 Does the Exception Make the Rule? A lawyer, a banker, and a real estate agent tell you that they have just walked in to a bar. Which one of them is probably lying? According to a 2016 article by Huffington Post, only 21 percent of people think that real estate agents are trustworthy. This ranks my profession below lawyers and bankers. Ouch! What does that say about those of us who make our living selling real estate? If we are viewed as less trustworthy than stereotypical whipping post professions like lawyers and bankers, shouldn’t we admit that we have an image problem with our profession? Or is that reputation deserved? Let me say clearly, I know many fine and honorable people that sell real estate. I have been in many deals, in the middle of several negotiations, where agents have done way more than is required by the letter of the law. Money talks. And .. well .. other stuff walks, as they say. Time and time again I have seen agents spend their time and money where they are not required. More than that, I can point to countless occasions where agents have displayed their heart. By that, I mean that agents have shown the high level that they care for their clients and consumers – not just as potential paychecks, but as people. Maybe I am all rainbows and unicorns here. 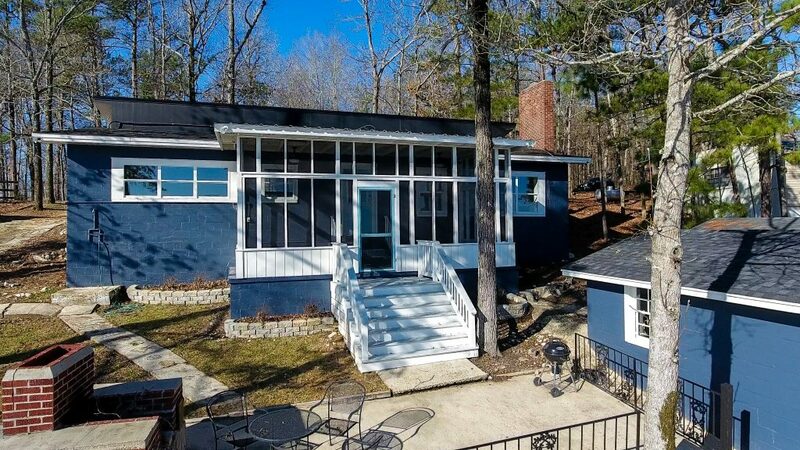 Maybe my opinions have been clouded by the fact that I think we at Lake Martin are a nice group of real estate agents. I think that almost everyone of us here are good hearted people. Still, the professional reputations exist. So when a person comes to our little lake community, they likely carry with them the stereotype that real estate agents are untrustworthy. 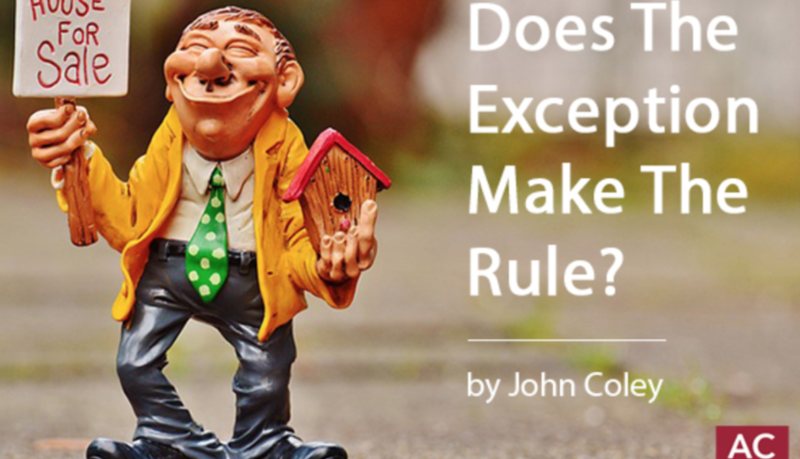 Personally, I think that our profession would be much more highly regarded if consumers knew that there is a governing authority over real estate agents. I think they would be even more reassured to find out that there is an actual venue for consumer complaints about agents, brokers, and real estate companies. Consumers (that is, people who are not licensed real estate agents) do have a way to influence integrity in the real estate profession. In Alabama, they may lodge a complaint directly to AREC. Does it ever happen? You bet! According to AREC’s quarterly newsletter, from June to September 2017 there were 1,276 complaints filed by licensees (agents), 599 complaints filed by the public, and 49 complaints filed by people that either remained anonymous or were on staff at the commission. Whenever a formal complaint is filed, AREC holds a hearing. It is pretty much like a court case. There is evidence, witnesses, the whole nine yards. It is a matter that is taken very seriously. I think that is further evidence of our profession trying its best to serve the public well. So if you are a “consumer” – you have a right to file a complaint against a licensed agent if you believe he or she has violated the law. It is important to note that you are not required to actually close on a transaction in order to have a complaint. For example, one of the legal obligations of each licensee is to “provide brokerage services to all parties to the transaction honestly and in good faith.” I am certainly no lawyer; to be most accurate you would need to verify my next statement, but it’s my opinion that this means that if a licensed agent knowingly lies to you about a piece of property, he or she has broken the law. It does not require that you have to buy that property in order for him or her to have broken it. The moment the agent lies – the law has been broken. You could file a complaint. Again, I would like to stress, my experience has been that an overwhelming percentage of people in the real estate industry are good, hard working people. However, if you as a consumer do run into a bad apple, there are some remedies. Note: I originally published this article in my monthly column in Lake Magazine. 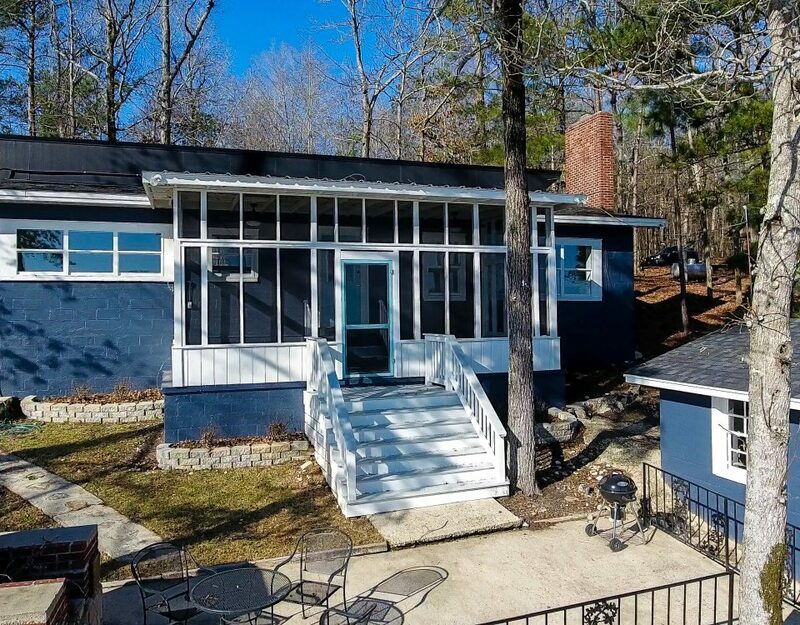 I am proud to write about Lake Martin Real Estate for Lake Magazine and ACRE – the Alabama Center for Real Estate.